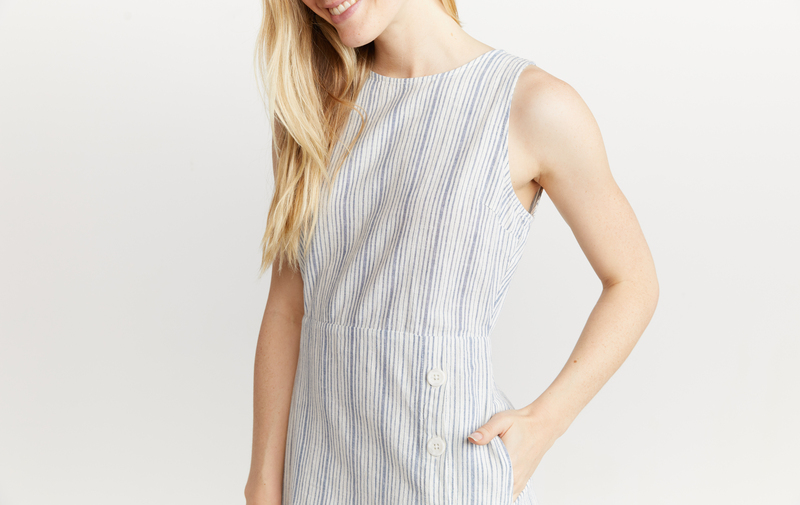 A-line, mid-length, open back, aaand retro buttons up the front? Just try to think of a better dress to wear to a picnic. We'll wait. 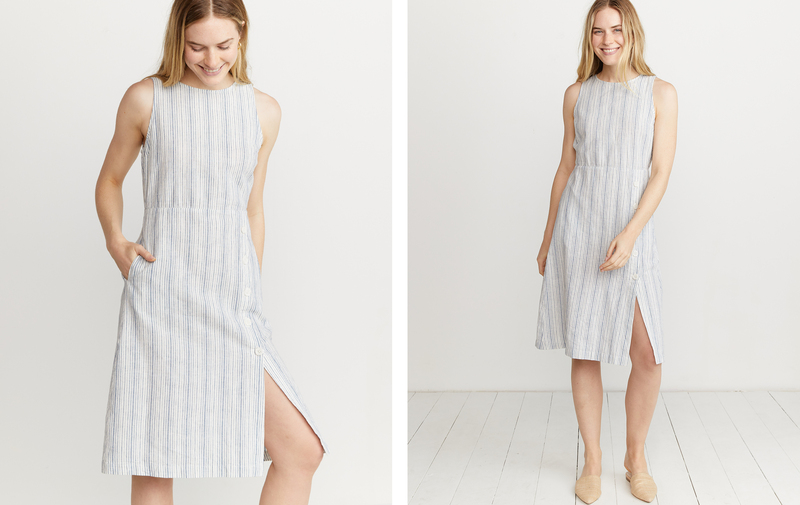 A blend of linen and cotton makes this feel natural, soft, and lightweight (but not see-through).